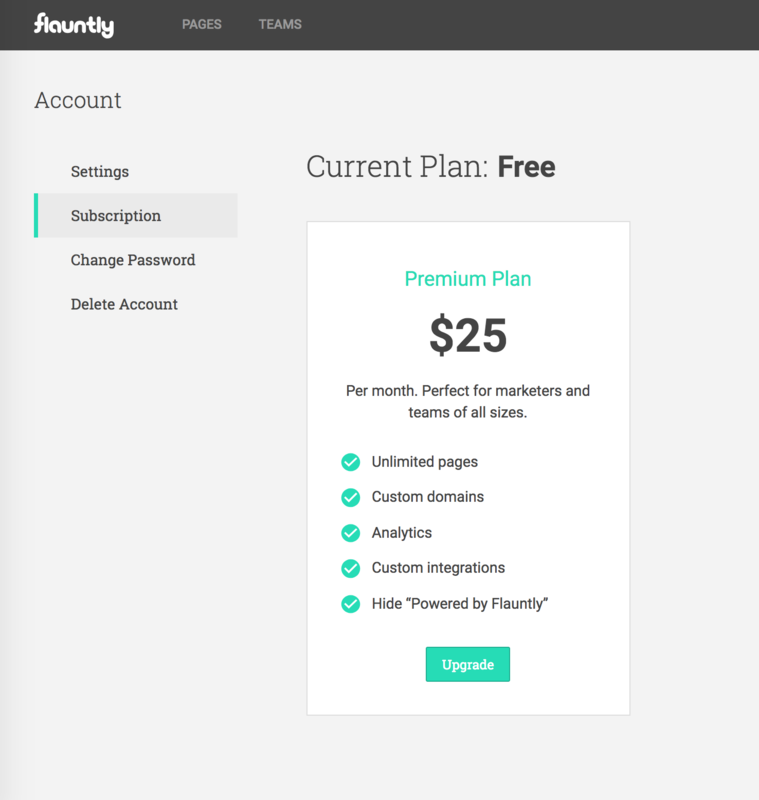 Flauntly was designed for individuals and teams to create landing pages quickly and easily. We understand that everyone has their own use case scenarios and personal needs of creating landing pages. From those considerations, we have put together 3 types of plans to help you get the job done. All newly created accounts start off as a personal free plan. For unlimited pages, upgrade to a premium personal plan and/or add a team along side your personal plan. 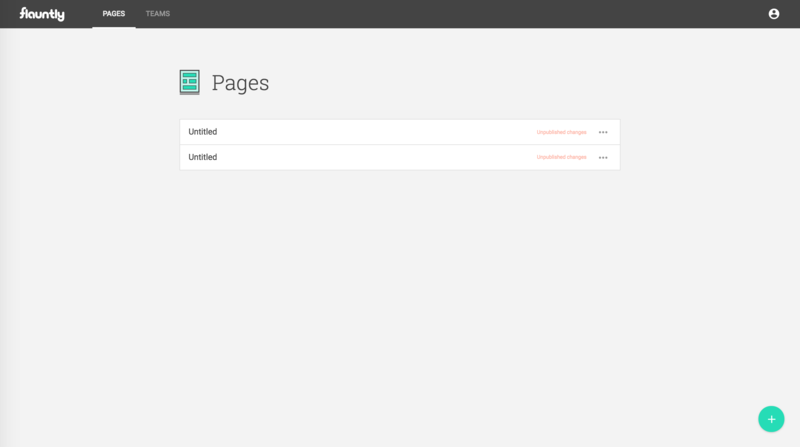 Or alternatively, add a new page after reaching the max of 2. The prompt will show the "upgrade" option. 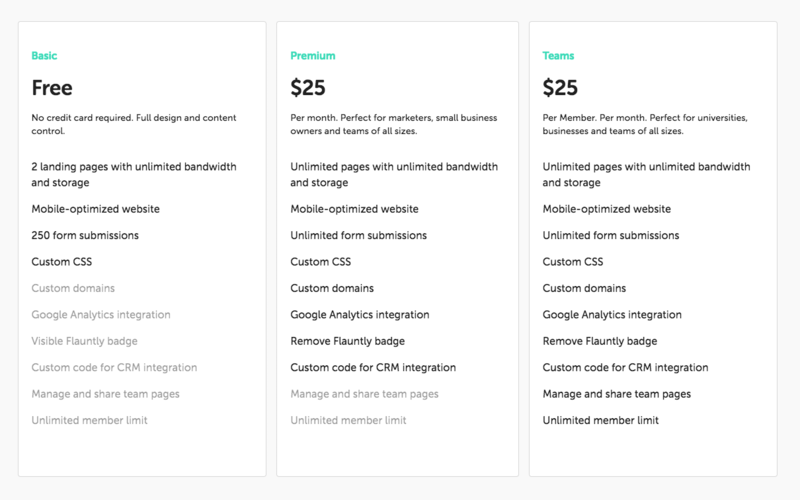 All premium plans are billed separately (personal, single member team, multiple teams etc). 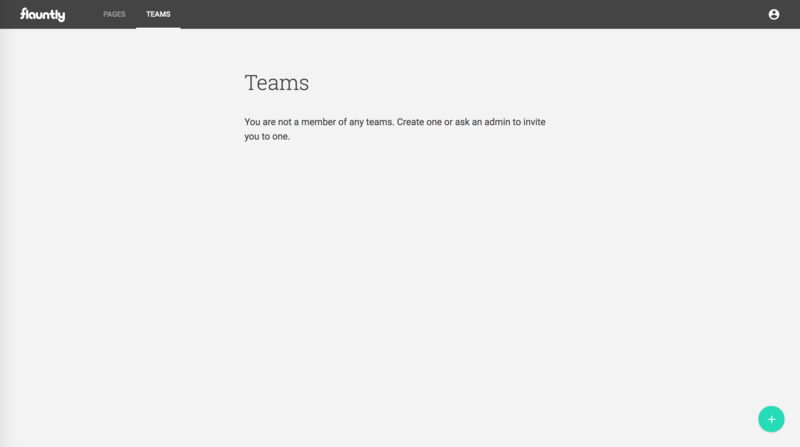 If you have any specific questions regarding teams, please see How Teams Work. For any additional questions, take a look at our FAQ and Guides for help. For customer support, please feel free to contact us.